Doug McMaster, left, with Ryan Chetiyawardana. Back in February, we brought you the drinks from the last menu of influential London bar, White Lyan, which closed recently to make way for a new concept. 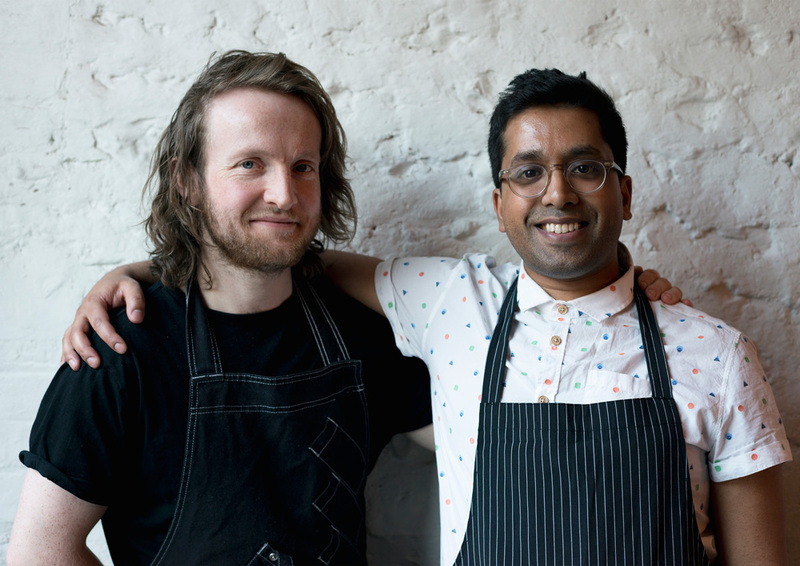 Now, owner and notable UK bartender Ryan Chetiyawardana has revealed plans to open a restaurant on the ground floor of the old White Lyan space, called Cub. Chetiyawardana is joined in this new venture by chef Doug McMaster, from Brighton restaurant Silo, which has an emphasis on zero-waste. Given that the old White Lyan developed a reputation internationally as one of the pioneers of the zero-waste movement in the bartending sphere — the bar famously had no ice and no fresh citrus — the partnership makes plenty of sense. “Cub will offer a new and unique luxury experience for guests presenting the pair’s own modern interpretation of a restaurant,” they said in a statement to trade press. Cub will blur the lines between food and drink, the statement said, in a way that goes beyond traditional food and drink pairing and with a focus on experimentation — including the growing of some experimental ingredients onsite with the assistance of Dr Arielle Johnson, the former food scientist at world-renowned restaurant, Noma, in Copenhagen. It comes off the back of the opening of Super Lyan in the basement of the same space back in April, where they make classics with the famed Lyan does of experimentation and technique. Cub will open in London in September.